Who doesn’t like to print out fun images? Clickinks.com wants to make it easier for you to do this. 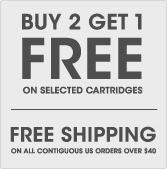 We’re excited to announce our bi-monthly (every 2 months) printer giveaway! 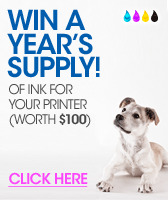 You have a chance to win a multi-purpose printer with no strings attached. The printer models will vary, so stay tuned for details. The Brother MFC 7460DN printer is a compact printer; it has been designed to fit anywhere, helping you to save space in your office or home. This Brother Printer features duplex printing (printing on both sides of paper) it can help you be little more echo friendly. 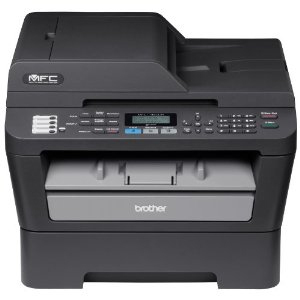 Ideal for small businesses and home offices, you can use this brother printer to make a quick scan or copy, it also sends and receives faxes! This brother printer has a built in Ethernet network interface so you can share the MFC-7460DN in your home and business office. The high quality scanner paired with its crisp, razor-sharp printing produces fantastic results! Complete one or more of the following to enter to win the Clickinks printer giveaway. The more items you complete, the more points you get, and the better your chances are to win. The giveaway will run from April 25, 2012 to June 25, 2012. All qualifying entries are due by June 25, 2012. The winner will be chosen at random using Rafflecopter. Choose your favorite badge or the one that fits best with the theme of your site to enter the Clickinks.com printer giveaway! Just copy the embed code for the badge of your choice and place it in the sidebar of your blog or website.